For this week, the angels took me right to the Energy Wisdom Oracle Cards by me ( http://www.dinakennedy.com/oracle-cards-by-dina/ ), one card, one message they said to me LOUD AND CLEAR! 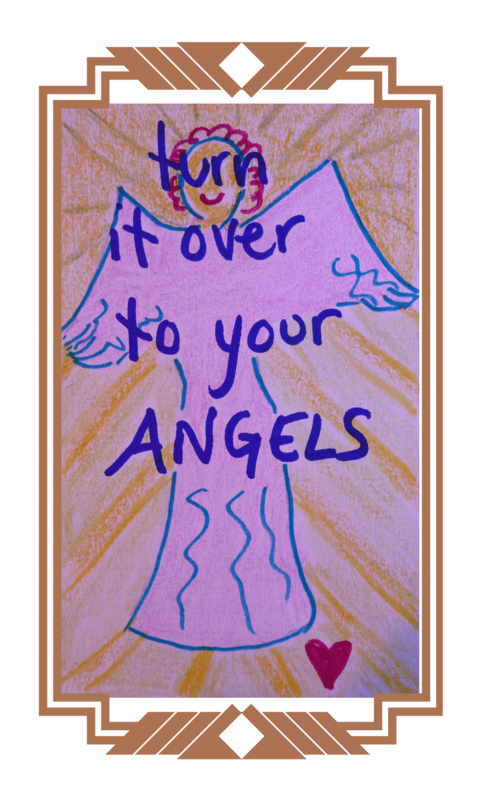 And your card for this week is the always wonderful TURN IT OVER TO YOUR ANGELS. Because really, they always do a better job at fixing and sorting and healing and helping than we ever do in our 3rd dimensional ways, don’t they? And then turn it over and let it go! When I turn it over to the angels, everyone involved wins. And things shift. Why not try this yourself, all week?